The MTC really captures the beauty of this old English hymn. When the seven days were almost completed, the Jews from Asia, seeing him in the temple, stirred up the whole crowd and laid hands on him, crying out, "Men of Israel, help! This is the man who is teaching everyone everywhere against the people and the law and this place. Moreover, he even brought Greeks into the temple and has defiled this holy place." For they had previously seen Trophimus the Ephesian with him in the city, and they supposed that Paul had brought him into the temple. Yesterday, Paul began the purification ritual for four men who had taken a Nazirite vow. (See Daily Devotional for July 21 to learn something about Nazirite vows.) 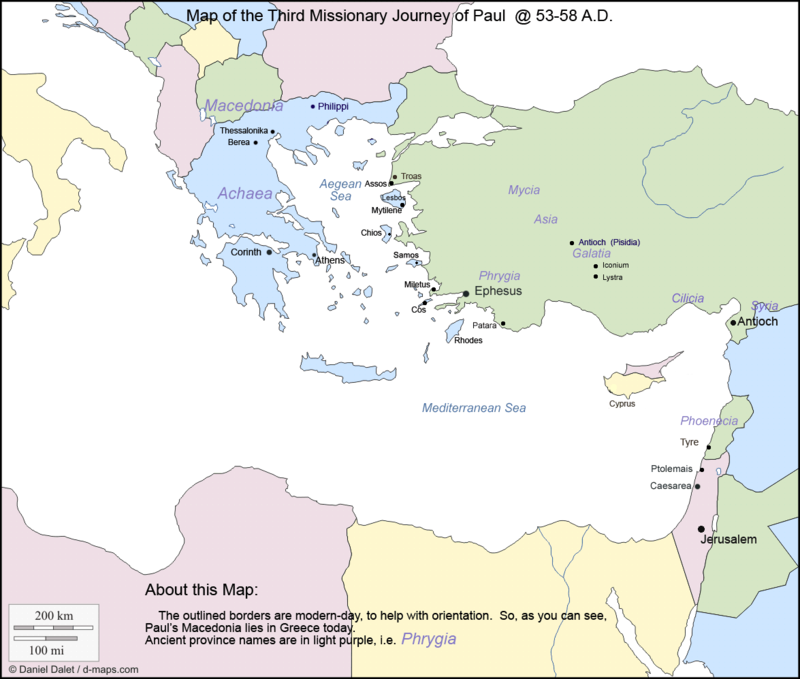 Paul was not particularly well-known in Jerusalem — he had not been there (or even in Judea) for over twenty years. But several of his enemies had been spreading rumors that he was preaching the abolition of Jewish practices. To scotch this rumor, Paul undertook sponsorship of Nazirite purification for four men, to show he was a practicing and devout Jew. Of course, the rumors were false; Jewish Christians were free to engage in almost all the rituals of Judaism. And actually, there is nothing in the Bible that would prevent modern Christians from engaging in most Jewish practices. Some churches, such as the Seventh Day Adventists (who keep the Jewish Sabbath), retain Jewish customs, and many Christians celebrate Passover and even hold Seder services, which they sometimes combine with commemoration of the Last Supper. So Paul demonstrates, in effect, that Christ did not come to abolish the law. But it is futile. He has made dedicated enemies in his travels, and one group of them — Jews from Roman Asia (western Anatolia) — have come to Jerusalem. The Nazirite purification is a seven-day process, time enough for these Jews to hear that Paul is in the Temple. They immediately incite a crowd against him. 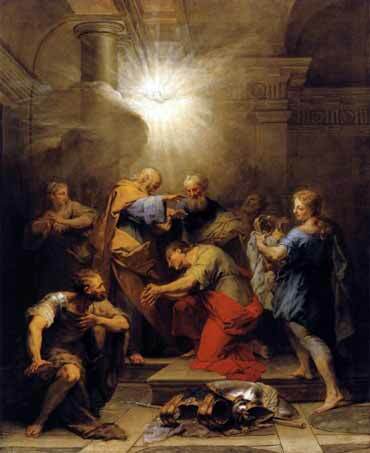 They spread the falsehood that Paul is bringing Gentiles into the Temple, and an angry mob drags him from the Temple!